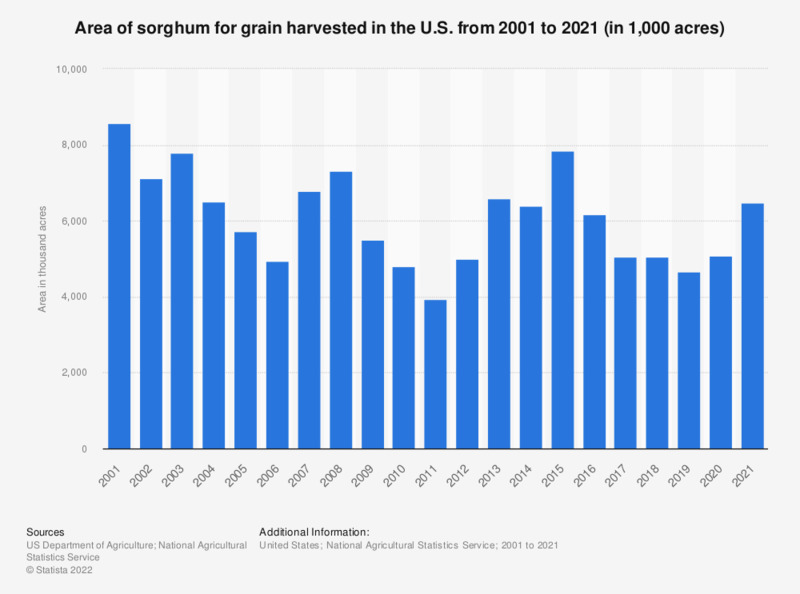 This statistic shows the size of the areas of sorghum harvested for grain in the U.S. from 2000 to 2018. In 2016, around 6.16 million acres of sorghum were harvested for this purpose. Statistics on "Agriculture sector in the Netherlands"